According to an American Payroll Association study, more than 75% of companies lose money from buddy punching. 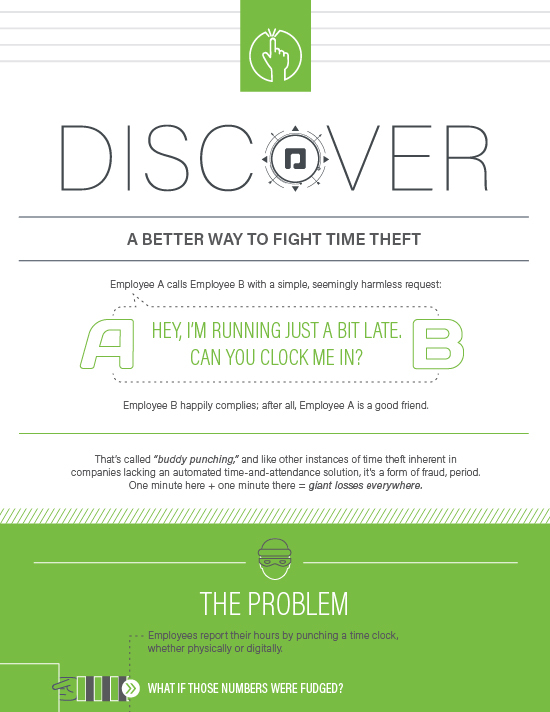 In fact, the average employee steals 54 minutes each workday. Time’s a-wastin’ – literally! Take back control of your time data today. Engage employees with streamlined timekeeping practices that give your workforce the access and flexibility they expect. Match labor to demand with real-time analytics. Optimize the effectiveness of your workforce and improve your service to employees. Help employees maintain a stellar work/life balance, while keeping costs in line.